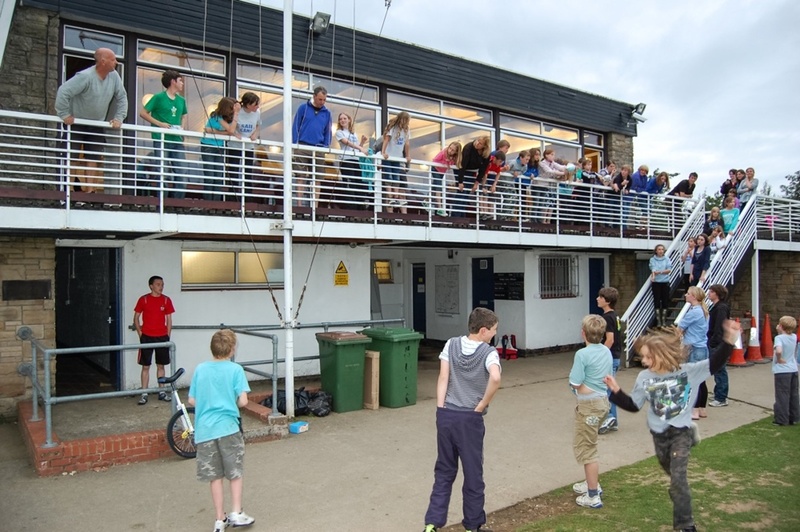 The club house is open every sailing day throughout the season and there are changing rooms, showers and toilet facilities for members. There is a comfortable lounge where families and guests can watch the activities on the water in comfort. Sailing days at the club are Wednesdays (pm), Fridays (pm), Saturdays, Sundays & Bank Holidays. On these days safety boat cover is provided either by club personnel or through a membership rota. Special events are organised for Bank Holidays. View the Club Calendar for up to date information on sailing activities. The main club racing series occur on Wednesday evenings (general handicap) and Sundays (Handicap and Class races) from mid-day with Friday evenings and Saturdays being popular cruising times although boats may cruise whilst normal club racing is taking place. Members may sail at other times during the week without safety boat cover although changing facilities are not usually available. There are toilet facilities in the fishing lodge adjacent to the sailing club which is open at all times during the season. Please see the Safety Policy and the Club Byelaws for more information about 'Buddy Sailing'. There is also a 'Buddy Sailing' page which summarises the sections relevant to sailing without safety cover. Social events are organised on a monthly basis with folk night, dances, fireworks, quizzes all find a place in the popular programme. Children of family members are welcome at Scaling Dam.